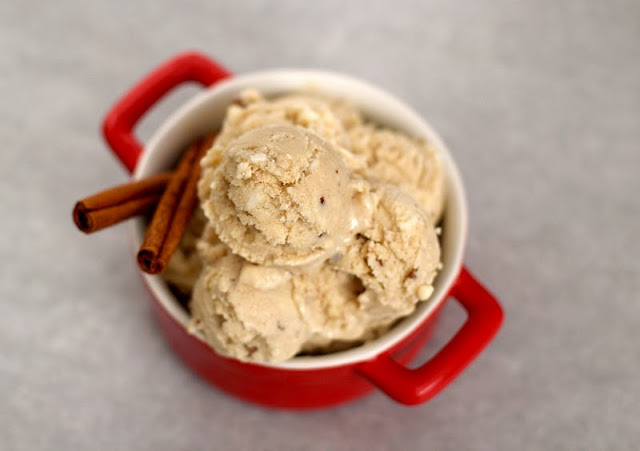 I have always seen Butter Pecan Ice Cream at the grocery store, but I've never actually bought it or tasted it. I'm the type of person who finds an ice cream they like and stick with it! The only flavors I used to buy were Oreo and cookie dough... nothing else. I don't like change, I like routine. Butter Pecan sounded good. But then again, so did maple... and cinnamon! So I made an all-in-one ice cream, and each of the flavors went perfectly well together. 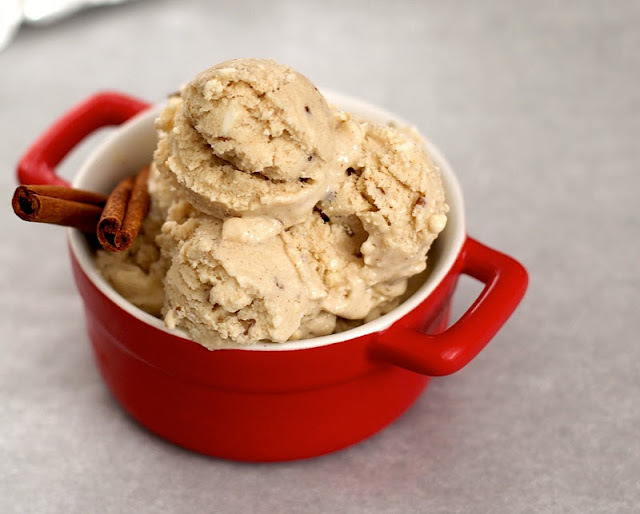 Since I've never tried storebought Butter Pecan ice cream, I don't really have anything to compare this ice cream to, but for some reason it tasted very similar to oatmeal raisin cookies. Probably because oatmeal raisin cookies use a whole lot of butter and cinnamon. This ice cream was absolutely addicting, even without the butter. I kept wanting more and more! I scooped myself some more and some more. 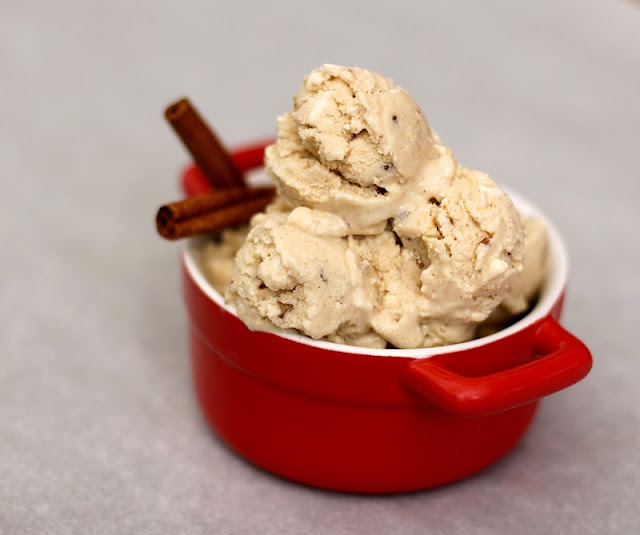 Mmmm... delicious fall flavors fused into a summer treat! Let's all turn up our heaters and pretend that it's summer... you know, just so we can enjoy this ice cream to "cool off." 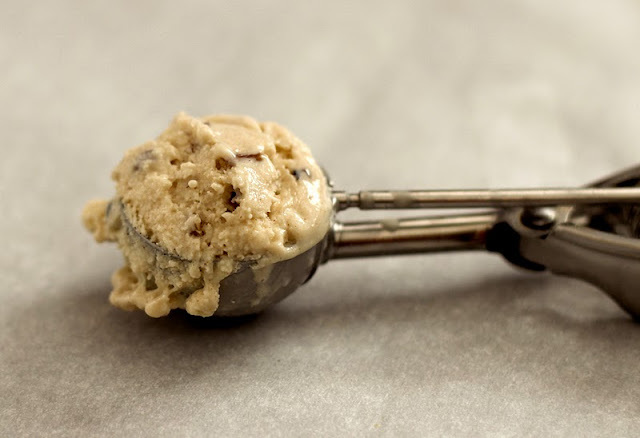 Hey, it's almost Summer where I live... totally would like to cool down with this little gem, looks amazing :) Never heard of butter extract before - great recipe! Think I need to get myself an ice cream maker.